Sources report that Nintendo has offered conversion software to mobile developers in an attempt to increase Wii U sales. Nintendo has always had a bit of a problem getting third-party support on its consoles and handhelds, and the Wii U is no exception. In an apparent attempt to improve sales of the struggling console, Nintendo is reportedly reaching out to third-party... smartphone software developers. According to the Japan Times, the publisher wants to make smartphone apps playable on the Wii U in order to widen the console's appeal. To do this, Nintendo is offering "professional-use conversion software" to app developers. The report, which Nintendo has not confirmed, comes from anonymous company sources. 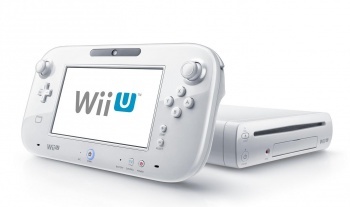 There aren't any specifics about which developers were offered the conversion software or what kind of smartphone games the publisher expects to port, but the Big N hopes that the increased support from third-party app developers will bolster Wii U sales. The sources also said that Nintendo will be developing software of its own, but it's unclear whether that's referring to mobile apps, Wii U apps, or something else entirely. Plenty of games have found success on consoles and mobile platforms, such as Telltale's The Walking Dead series, Plants vs. Zombies, and the mobile mega-hit Angry Birds. However, given Nintendo's lack of third-party game support and its absence in the mobile space, this is an odd way to try and increase Wii U sales. I would think first-party Nintendo titles like the upcoming 3D Mario and Wind Waker HD remake would be more successful at motivating gamers to buy Nintendo's newest console, though a strong app library might be a nice secondary feature. With its annual E3 press conference nixed, it's hard to know when we might hear more about Nintendo's plans for the Wii U, but we'll be keeping an eye out.